How many times have you heard someone say, “I’m not religious, I’m more spiritual”? Religion has got a bad reputation in today’s world. 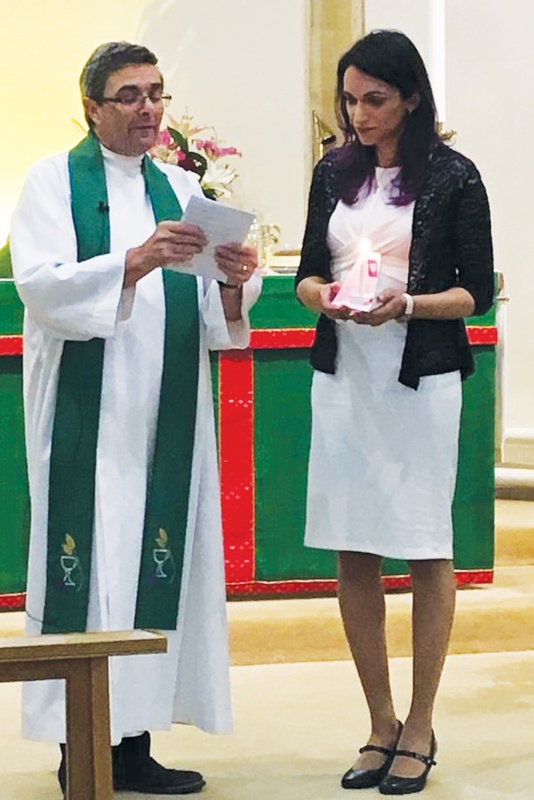 Instead, people are seeking spiritual experiences outside the Church or traditional religion to address not only their spiritual needs but also their physical and mental wellbeing. So, thousands flock to alternative spirituality and wellbeing events, where they encounter all kinds of alternative spiritual experiences and lifestyle guidance. 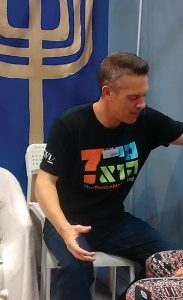 In the midst of these spiritual marketplaces are one or two stands operated by small, dedicated teams of Christians, such as The Jesus Experience. Spiritual seekers look for what feels right – experiential rather than propositional truth – which is reflected in the name, The Jesus Experience. So, the team offer an experience of Jesus through prayer, while engaging people with Jesus’ message and giving out free Gospel literature. The Jesus Experience team members are distinctive because they love the Jewish roots of their faith, which is reflected in the imagery of The Jesus Experience stand. The whole team is multi-ethnic with a variety of religious backgrounds, enabling them to engage with the diversity of people they meet. The Jesus Experience team’s common ground is their vibrant faith in Jesus: they believe that he longs to change lives, to heal and to set people free. The work began in the 1990s and members of the original team are still involved while others continue to support in prayer. 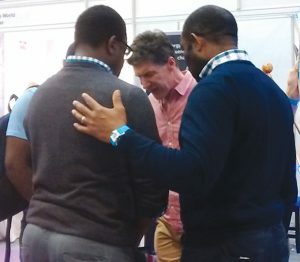 Hundreds of people have visited The Jesus Experience stand over the years, asking for prayer for their relationships, direction in life, healing or inner peace. They are prayed for in the name of Jesus, they encounter his Spirit at work, and they hear the life-changing message of Jesus with his invitation to “Come to me, all you who are weary and burdened” (Matthew 11:28). For many, it is food for thought as they explore spirituality. For some, it is the first step in their journey of faith, as they open their hearts to Jesus at the stand, and still others are healed and set free. All are given free Gospel literature and the opportunity for follow-up. Many people attending these events have turned their backs on traditional Christianity and would never darken the doors of a church, but through encountering The Jesus Experience they “taste and see that the Lord is good” (Psalm 34:8). The Jesus Experience team is made up of committed volunteers, many of whom take time off from work to serve and they are praying for committed Gospel partners who will pray (the bedrock of the outreach is prayer) and support with regular as well as one-off giving. Jesus Experience, please email jesusexperience2016@gmail.com. Bank details are also available from the HEART office, 01903 209383. It was a no-brainer for me to look around me and come to one single obvious realisation: God exists and is the one who engineered everything, from the smallest atom, to the largest galaxies and the visible universe, because all share the same design pattern. I devoured everything that Islam had to offer, but as I grew older, and started navigating through life’s hurdles and struggles, I started to feel more of a disconnect with Islam. Nonetheless, I knew God didn’t give up on me. He snatched me from very difficult situations and helped me in my struggles. He answered my prayers (either directly or indirectly) and if he didn’t answer some of them, in hindsight, I realise it was for the best. And with every prayer, with every struggle, my faith in God grew stronger and stronger, and I surrendered all my being to him and to his will. But the gap between me and Islam grew wider by the day. I moved to the UK mid-2015 with work. At the start of 2018, I decided to set a goal for myself to pursue spiritual health and wellbeing. And I started reading a bit more about Christianity, but from an Islamic perspective. It wasn’t a fair thing, but I needed to start somewhere. (I recognised the Hebrew from my childhood).